Leading manufacturers of Grease Pumps we offer you a wide range of products which includes Bucket Grease Pumps and Grease Guns. With our rich industrial experience we are engaged in manufacturing of Grease Pumps, offered products well-known in the market for its strong body and user-friendly operations. Our offered products are durable and can withstand high load. 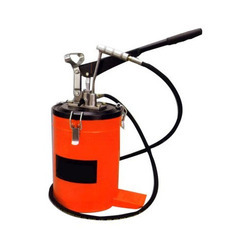 Offered product ensures smooth pumping of grease in the required area. Additionally, we provide them in diverse technical grades. 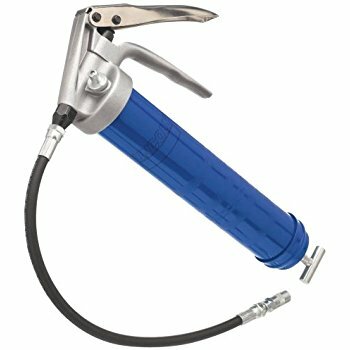 Being leading manufacturer of Grease Pumps, we are engaged in offering wide range of Grease Guns which are highly appreciated by our valued patrons for their smooth nozzle and diverse dimensions. Our entire product range is made from fine quality raw materials and is thoroughly tested by our quality testers before dispatch of the products.